Pass the award onto others! I am sorry but I am really not good looking enough to show myself accepting an award, even in my little corner of WordPress, and so I will be WRITING my acceptance speech. Here it goes! I have no idea why I would win a ‘Best Moment’ award. I don’t really have many great moments, I just give out a lot and lose sight of my goals. Maybe that’s why I have been given this award, because I don’t hide behind a mask of greatness, I show what’s really going on with me and my writing, please correct me if I’m wrong. Thank you though for giving it to me. I know that a lot of these things are pretty random and people are following others just to find someone else to add to their list, but I’m hoping I’ve entertained a few of you, even one of you, with my ramblings! And now for those beautiful people with amazing moments to share. My lists are never long so I’m gonna stick with that! I just really love books, ok? 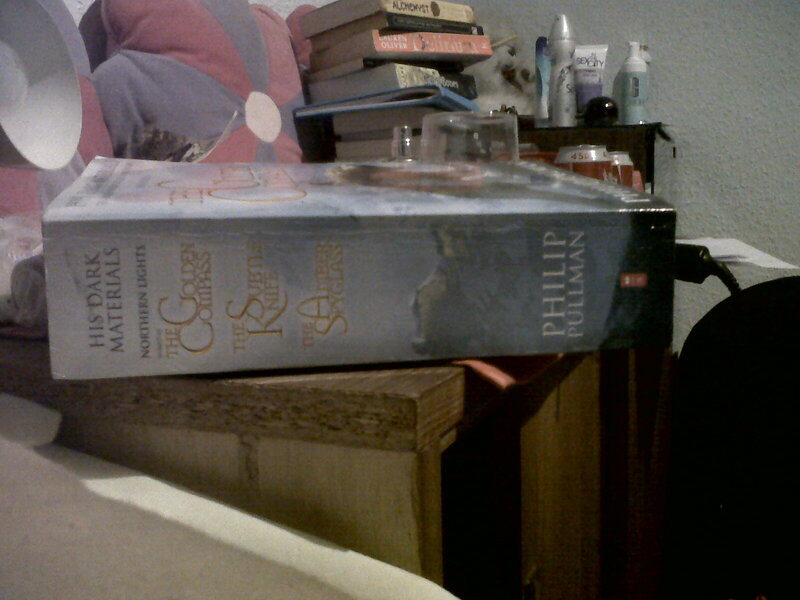 At the moment I am reading The Golden Compass. But it’s one of those 3-in-1 books. This book is enormous. Like really. I have stopped taking my laptop to college it’s so heavy. There’s over 1,000 pages in it (don’t keep me to that, it’s in my bag and I’m not bothered taking it out to count the pages! So, even though I do seriously LOVE books, it’s a bit of a pain sometimes when you’re close to breaking your back it’s so heavy! But in this case it’s worth it; I really love this series, I only read the first one because it was on my course in first year, so I have started them all over again. I really do love them! Pullman is quite the genius!